Coachella and Lollapalooza are sold out. Bonnaroo's nearly there, too. But eager fans need only be patient: Wait a few years and chances are you'll have a star-studded music festival of your own within driving distance. New music festivals are popping up more quickly than you can count in the U.S. As the summer festival season gets under way this week with the sprawling Coachella Valley Music and Arts Festival down in the desert in Indio, Calif., some of the most successful promoters in the scene are looking ahead to next year and beyond when they'll launch new ventures in untapped markets. "I do think that there's really plenty of opportunities for people to create some great festival experiences," said Ashley Capps, a co-founder of the Bonnaroo Music & Arts Festival in Manchester, Tenn. "In fact, I think in many ways the audience in America is just now starting to fully embrace festival culture." After a disastrous run when festivals disappeared more quickly than the family farm in the late 1990s, a small group of concert promoters established beachheads – the four mega giants Coachella, Bonnaroo, Lollapalooza in Chicago and Austin City Limits Festival in Texas. Each of those has survived a decade or more and continues to gain in popularity. In the last five years, several others have taken root like the Pitchfork Music Festival in Chicago, the Hangout Music Festival on the beach in Gulf Shores, Ala., Outside Lands Music & Arts Festival in San Francisco, Governors Ball Music Festival in New York, Mountain Oasis Electronic Music Festival (formerly Moog Fest) in Asheville, N.C., and Forecastle Festival in Louisville, Ky. Even more are being started by artists themselves – Metallica and Wilco among them. That abundance comes with its own problem: As more festivals debut worldwide, the competition for top headliners becomes more intense. As does the scrutiny. Put McCartney, Mumford & Sons and Tom Petty and The Heartbreakers at the top of your bill, like Bonnaroo, and you'll get few complaints. Throw The Stone Roses up there, as Coachella did, and there's going to be some yammering, as festival producers found this year. Many fans asked, "Who?" when the British rock band appeared atop the festival's lineup and speculated the `90s holdovers might hurt attendance. Yet the complaints had no effect on ticket sales. 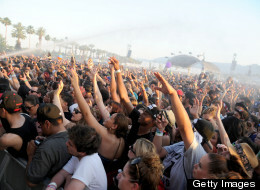 Coachella, which recently expanded to two weekends, sold out both. Lollapalooza, with headlining `80s band The Cure, sold out in a record four hours. "There's always going to be complaints about every lineup. You have to look at tickets sales," said Charles Attal, whose C3 Presents produces Lollapalooza and the Austin City Limits Festival. "If they're selling out in an hour, it's the fan experience. I don't think it's about one band." For Grace Potter, who plays in 10 or more festivals a year and recently started her own Grand Point North Festival in Vermont, festivals are about the experience of discovering new bands. But she acknowledges that there may be a burnout point. "I think that it's absolutely (viable) for the next 10 years, but at a certain point, if we fractalize it too much, you're really diluting the water too much because people have to make choices of what they want to do," she said. Capps, a longtime promoter based in Knoxville, Tenn., says he plans to open a couple more festivals in 2014. Attal also says his company is looking to expand where they find the right combination of site and willing partners. The proliferation is being fueled by a simple thing, Attal said. "If you're going to pay $200 or $300 to see 130 bands, it just makes more sense to do that than to go see two bands in an amphitheater for $100," he said. "It's just the economics and the experience you're getting for what you're paying for it. It's a no-brainer for the music fan." And once indoctrinated, the enthusiastic festival-goer is likely to attend more than one per year. Capps says the pattern in the U.S. is beginning to resemble Europe, where there's a thriving culture and room for everyone. "The thing that I always note is in Europe there are hundreds of festivals, hundreds," he said. " And in the (United Kingdom) alone, which is as we know a fairly small country, there are several hundred rock festivals of all different sizes, but quite a few large ones." The guys in Metallica have been playing that European circuit since the mid-1980s, headlining with acts as diverse as Neil Young, Phil Collins and Bjork. Guitarist Kirk Hammett said each country has its own landmark festival – Glastonbury Festival in England, Holland's Pinkpop Festival and Roskilde Festival in Denmark are among the largest. "It's great because every country kind of puts their own cultural identity imprint on the festival," Hammett said. "You go to Pinkpop, you have stuff that's very unique to Dutch culture. That's a very cool thing. What I would like to see is a bunch of festivals thrown across the United States that were thematic in that way, too." Metallica is leading the trend of new festivals curated by artists. The band founded Orion Music and More, which debuted in Atlantic City, N.J., last year and will pop up this year on Detroit's Belle Isle. The band started working on the idea in earnest after being invited to play Bonnaroo five years ago. "We went to Bonnaroo not really knowing what to expect because most festivals in America at least up to that point that we'd been aware of were a little more regional and more niche," drummer Lars Ulrich said. "So when we went to Bonnaroo that was the first festival we'd experienced in the U.S. that had a European feel in terms of the variety. We saw it work at Bonnaroo and we thought maybe we could do that." Nels Cline, guitarist for Wilco, says he's never attended a festival as a fan and occasionally finds himself wondering why fans would subject themselves to some of the conditions. "I don't get camping on site," Cline said. "I played the High Sierra Festival a few years ago where I was jammed into a tent. They had the whole band sleep on the grass next to the jam hut where jam bands play till 6 in the morning. It was in the cruel and unusual category. And I'm pretty resilient." Cline is pleased to report Wilco's Solid Sound Festival, housed at the Massachusetts Museum of Contemporary Art in North Adams, offers an experience that doesn't necessarily require wilderness survival skills. "It's super chill," Cline said. "There's no gouging on water. There's street parking. And you get to also look at some art while you're there. It's a cool scene and it's not just in a big pasture or something. There are indoor venues, outdoor venues, big ones, little ones. It's pretty civilized."